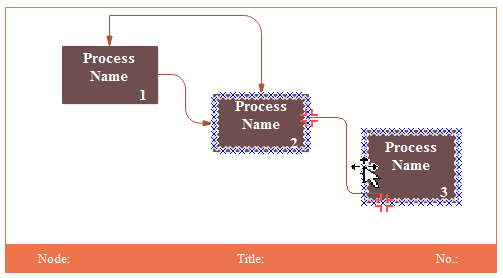 This article will show you step by step the easiest way to create IDEF0 diagram. 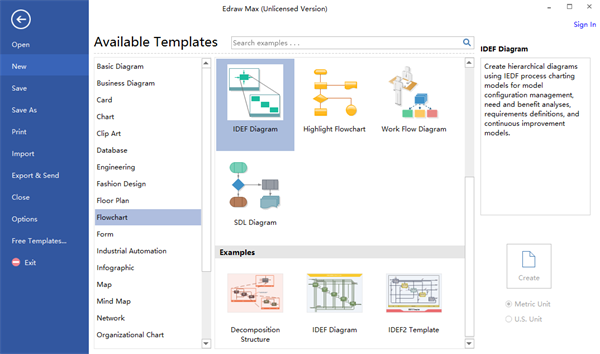 Various of IDEF0 Diagram symbols and templates are provided too to help you get started. The IDEF methodology was first developed for manufacturing and systems engineering. Now the IDEF methods are applied for wider uses as well as for software development. And IDEF0 (Function Modeling Method) is one of the most commonly used one. 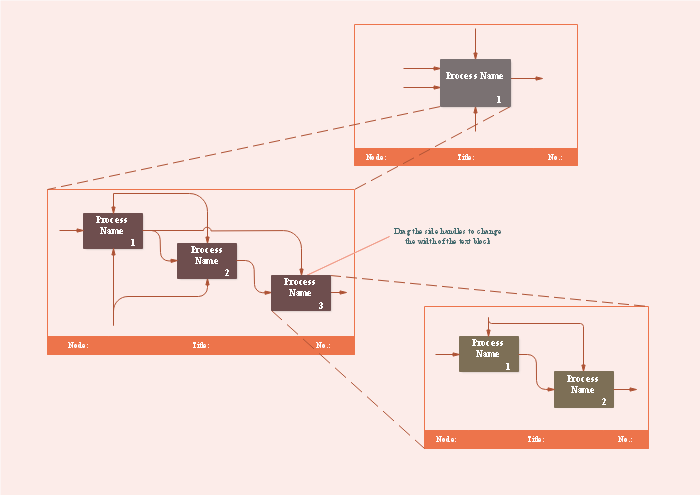 How to create an IDEF0 diagram for your business modeling? This page will show you how to draw an IDEF0 diagram with various of libraries that are full of IDEF0 diagram symbols. Start Edraw and open a new drawing page for IDEF0 diagram, go to Available Templates - Flowchart - IDEF Diagram. Double click to start designing your own IDEF0 diagram or click on the example down below for inspiration then customize your own. An IDEF0 diagram could consist of several blocks. Each block represented contains several process boxes. Let's started with the Diagram title blocks. Simply drag and drop the title block for the library on the left. NOTES: Edraw will remind you to edit Node, Title and Number for the block, but of course you can hit the Cancel button and edit later. NOTE: Do not forget to edit the name and ID for the process box. 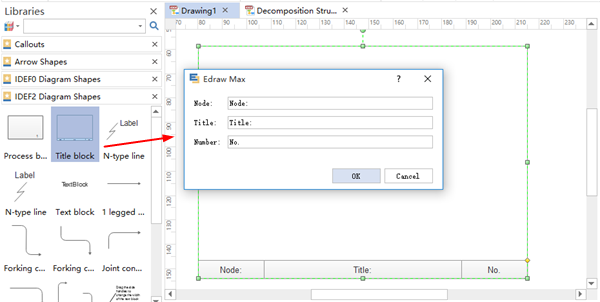 Edraw will remind you while dropping the box to the drawing page, but of course you can edit later, too. Use the various types of connector from the library on the left to connect the process boxes together. Connection dots will appear automatically, which makes it easier for you to adjust the connector. 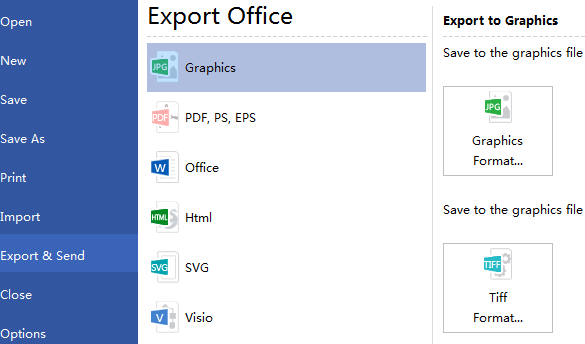 Under the "File" tab, hit "Save" to save your IDEF0 diagram as the default format .eddx, or click on "Save as" under "File" tab to save as other formats. Click "Export & Send" under "File" tab to export the IDEF0 diagram to other formats including PowerPoint, JPG, PDF and so on.